Runs from the junction with the River Moselle at Scotland Green, (just south of the Tottenham High Road) in a straight line through Tottenham Marshes into Pymmes Brook. Created in the early 15th century to alleviate flooding upstream by the River Moselle and the Ditch is basically a continuation of the Moselle. Originally known as The Garbell and then the Carbuncle by the 19th century though I am unable to find any explanation for the origins of these names. One can only assume that as a carbuncle is caused by bacterial infection, this ditch was associated with disease especially as around this period the population of the area increased and the once pure Moselle became heavily polluted. Carbuncle is now also used as a modern day term for something considered unsympathetic to its surroundings after the Prince of Wales in the 1980’s described a planning proposal for an extension to the National Gallery as a "monstrous carbuncle”. 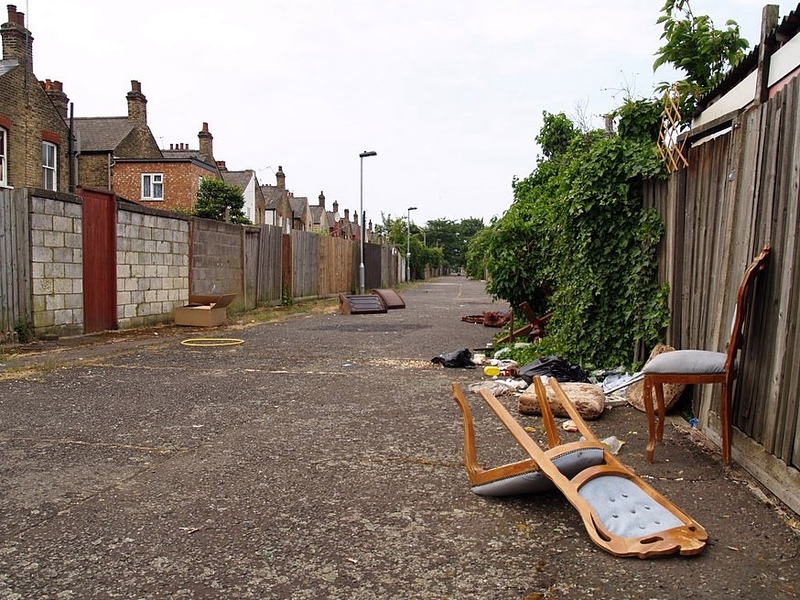 Locally to Tottenham this could perhaps apply to the flytipping that this vicinity now attracts. 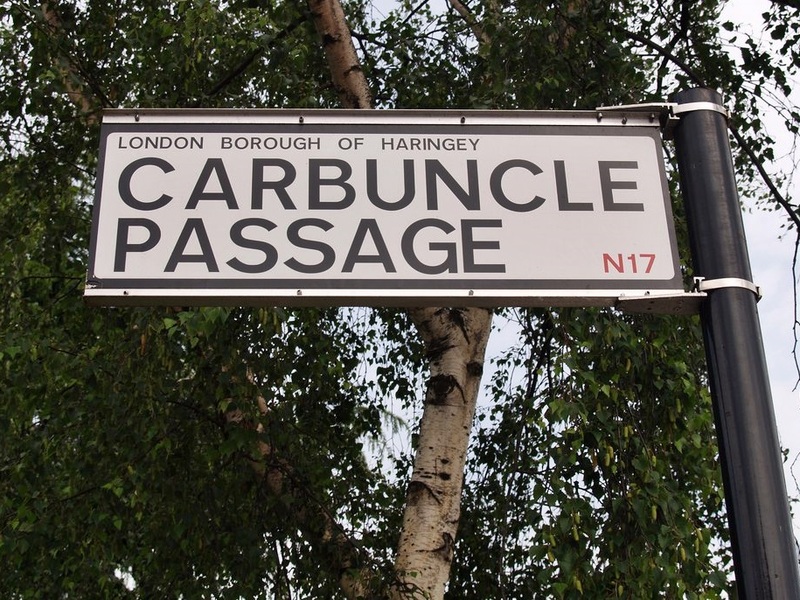 The Carbuncle was partly culverted in 1906 but some parts remained open until after the Second World War. Much of the route now forms the Carbuncle Passage, a wide walkway providing rear access to rows of houses on either side. 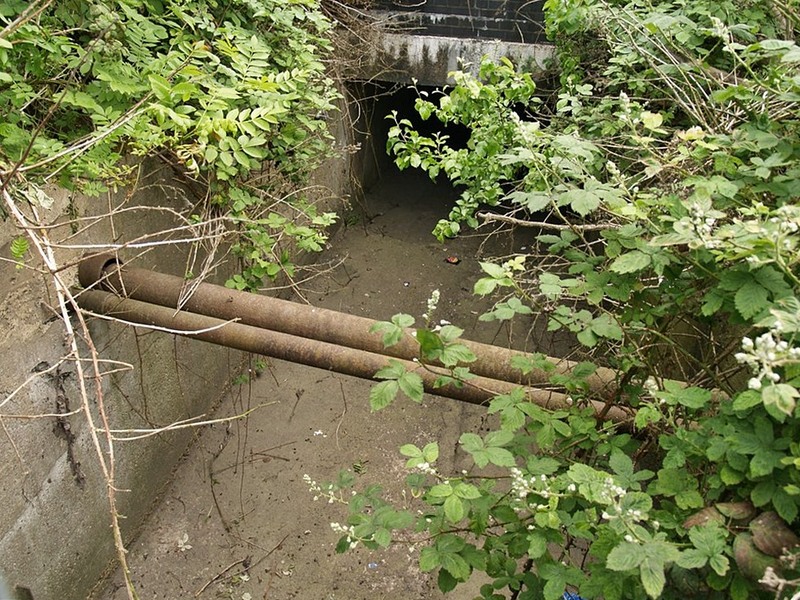 The gushing outfall at Pymmes Brook can be heard (and smelt) on the far edge of Tottenham Marshes though fencing and dense undergrowth hinder a decent view.